The Orange EverGraze Proof Site was lead by Dr Warwick Badgery supported by other scientists and technical staff at the Department of Primary Industries NSW (DPI NSW). Extension in the region is led by Lester McCormick, DPI NSW. 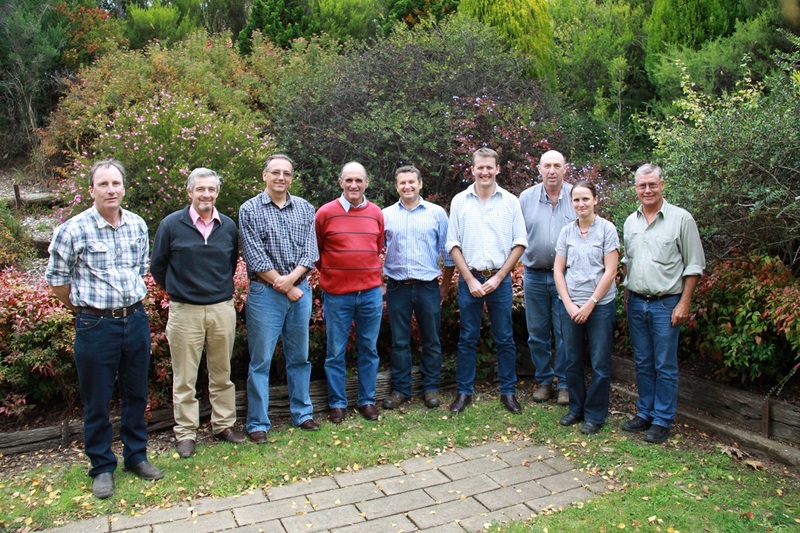 The Orange EverGraze Regional Advisory Group was chaired by Wes Brown and included representatives from Lachlan Catchment Management Authority, Landmark and local farmers. Representatives of the Orange team and regional group. From left: John Rowlands, Wes Brown, Karl Behrendt, George Taylor, Phil Cranney, Warwick Badgery, Geoff Miller, Kim Broadfoot, Lester McCormick.